We are a technology repair and servicing centre based in Blackpool. We repair the most popular brands of mobile devices with a specialization in Apple and the Samsung Galaxy series. Offering same day and drop off repairs for your phone and laptop. 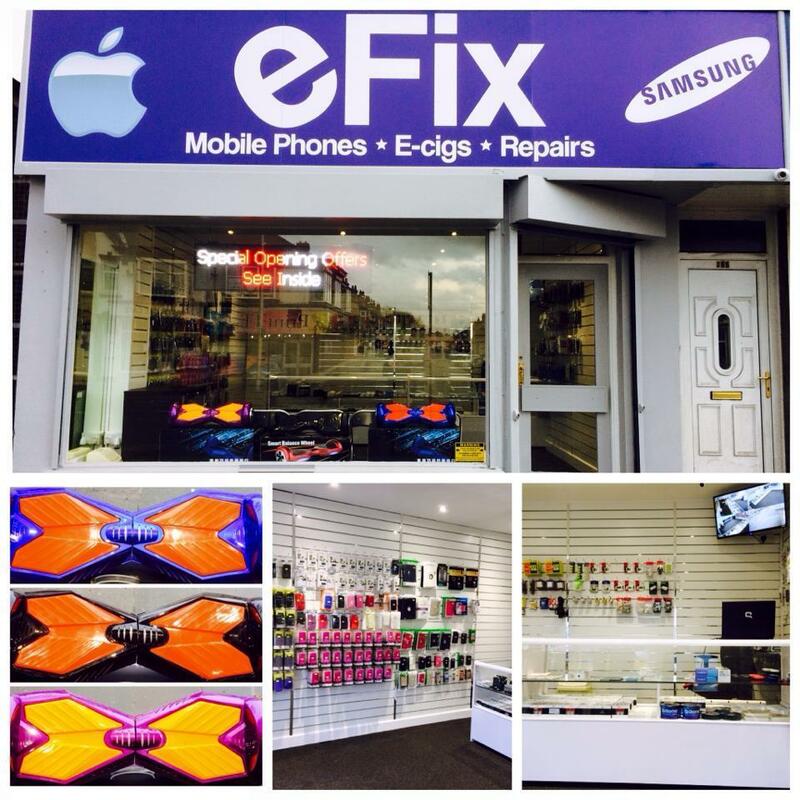 eFix offers technology repair and servicing for your phones and laptops. We are based in Blackpool, offering repairs and mobile phone sales to Preston, Lancaster and the surrounding area. eFix offers all our customers a No Fix No Fee promise with all our repairs, plus we will price match any like for like quotation. We are proud of the service we offer and all our repairs come with a 3 month guarantee, so you can rest assured that your trusted phone and laptop are in safe hands.